As always, Xiao, you look stunning! This color was made for you! WHOA. The glossed lip. I WANT SO MUCH. Eeee you look amazing, Xiao! I love the combination! Think I might have to take a look at LMdB lipsticks soon! Love the combo Cheekz! SO pretty! I love how dark it is! 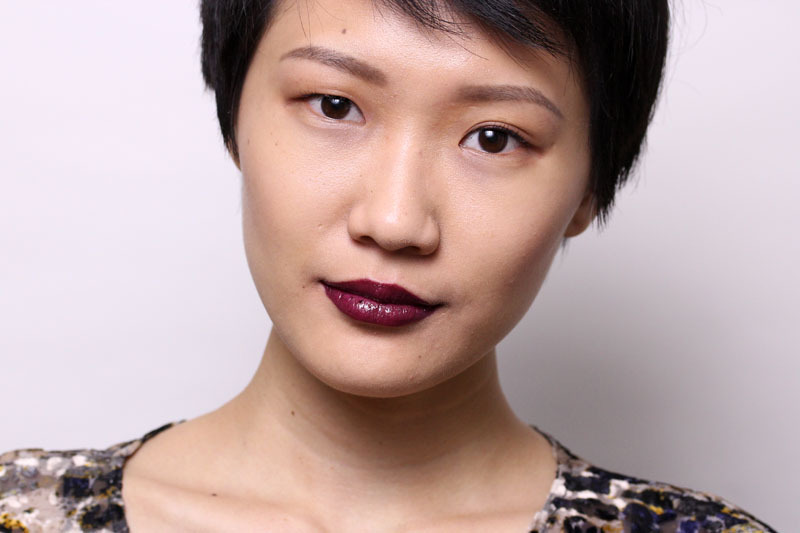 Dark, vampy lippies look so good on you! Hahaha, depending on what industry you're thinking about, I suppose :) The LMdB gloss is awesome. Spices up many a vamp! Haha, cheater! 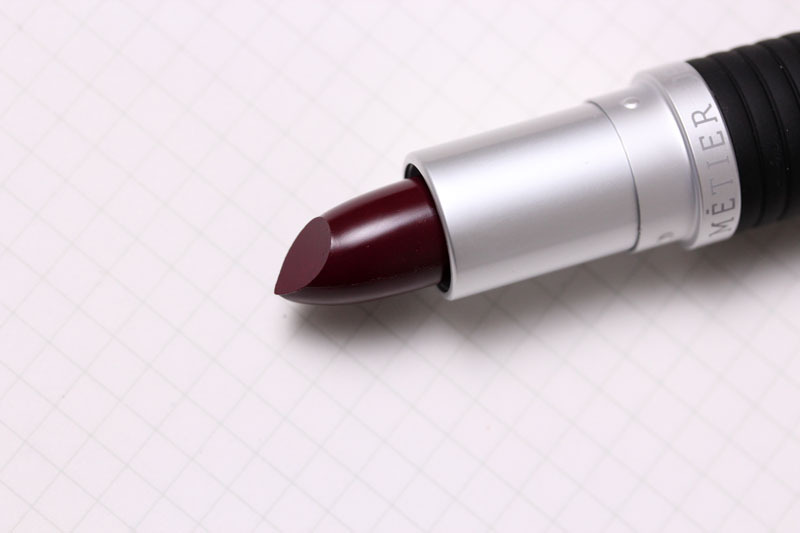 I honestly think we have swatched every single dark lipstick in stores. ._. YOU LOOK SO GOOD, WANDZ. 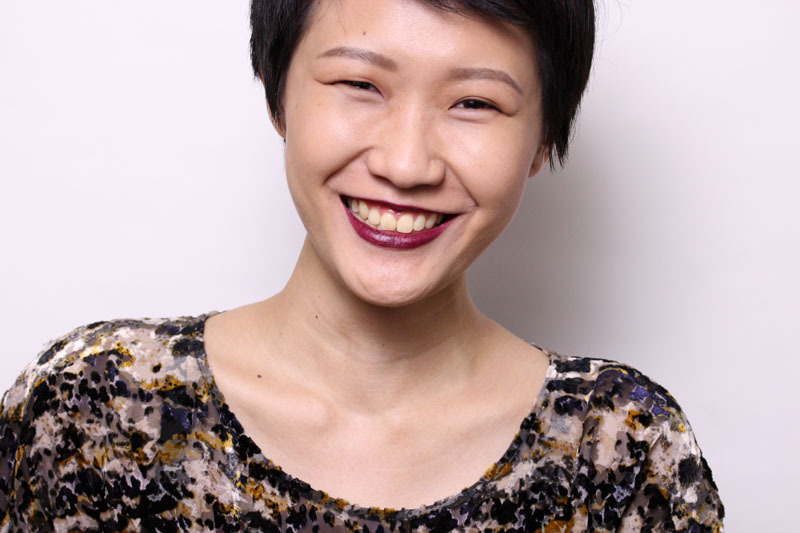 I fully admit my less-than-honorable ways in pursuit of a better-looking lip! And yes, I think we did. 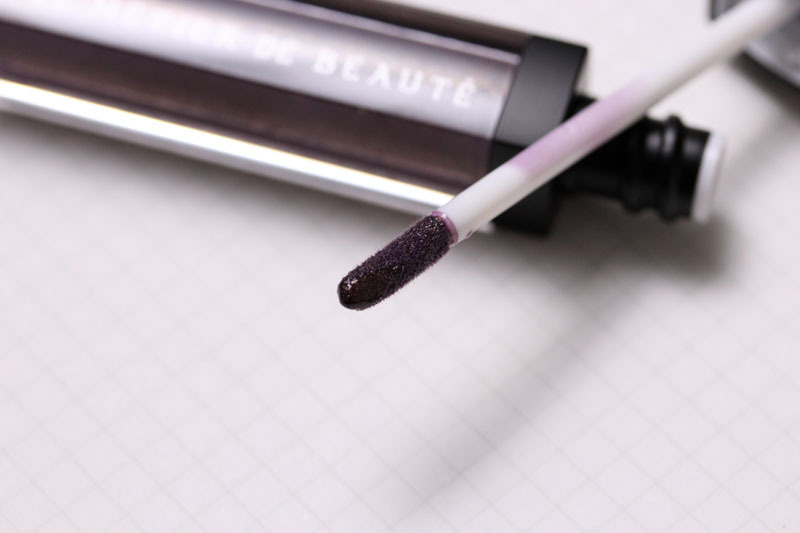 Holy god D: That gloss is the most gorgeous thing I have seen all month -- any chance I can bug you to do a lip swatch of it (on its own) sometime? Because I think I need. Okay wow. Where the hell did that gloss come from and WHY didn't I know about it?! 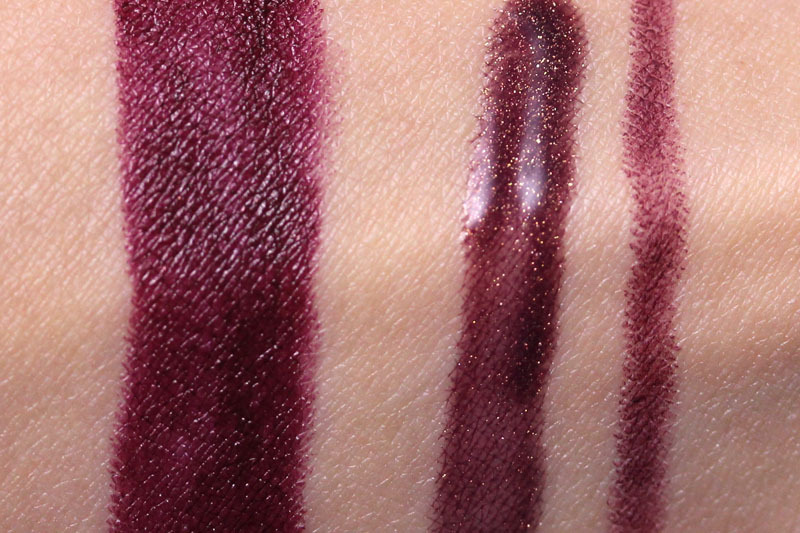 I second Rae's request: can you swatch the gloss all alone? I also need. Badly. The glossed lip is so pretty! Ah, those gold shimmers! Love both shades Im a Vamp lipstic and Nailpolish lover. Btw how did it go with the Spanish blog I sended u? u need more? Damn it! I told Larie how jealous I am of her ability to wear these colours, and now I see you ---it's driving me crazy! My colouring doesn't always lend itself to wearing dramatic shades like this, but I'm not giving up: I'll find a way to make it work on me too. I love all your colour choices - as if anything would ever dare look bad on you, lol! And now I'm dying to see how different my original Rouge Noir lipstick is to the newer version! 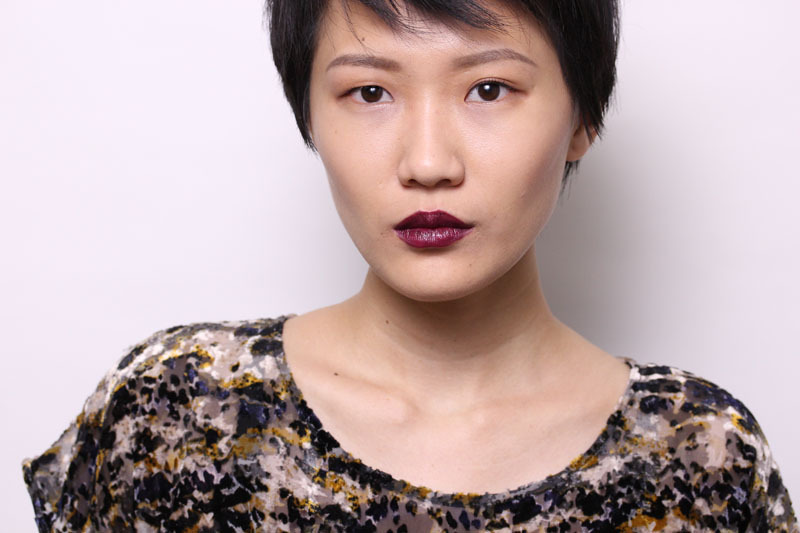 In any case, nice job with the vampy lips, love 2x the lipsticks + gloss on you! 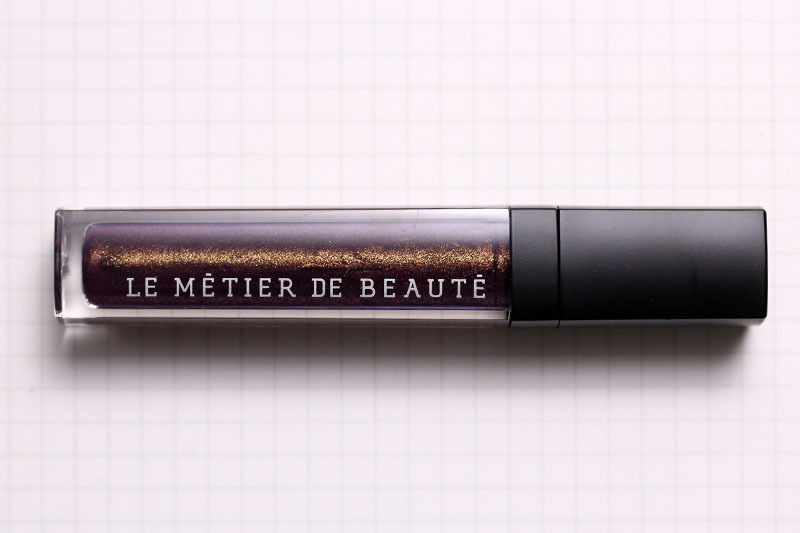 The Chanel lipstick is gorgeous....but....but...that LMDB lip gloss is just stealing the show. Guhhh, how can something be that pretty? It's perfect. May I ask which Camera you use? Layering them was genius! And you had to pick LMDB and make me want more of them. La Belle looks uh-may-zing! Gah! what a pretty combination! :) good work! I need to try some lmdb lip stuff for sure!